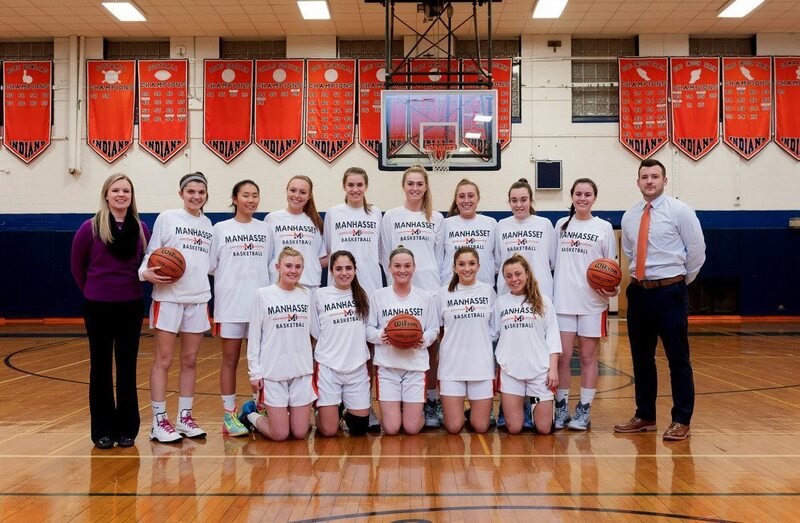 Manhasset girls have been heating up the court this season with a number of sensational wins. Manhasset took on Sewanhaka at home at the end of January and beat them in a thrilling last minute play, 74 to 71. The last time the two teams met at Sewanhaka High School, Manhasset was overcome 72 to 36, with Sewanhaka pressuring the Indians throughout the game. This time, Manhasset needing a victory, they came out and played like the champions they are. The girls maintained their lead throughout the game to come out as victors. Lauren Merola led the scoring with 34 points, shooting five 3-pointer, six rebounds and seven for eight from the foul line in the last quarter. Chloe Murphy had 17 points, seven assists and seven rebounds, Erin Barry had eight points, 10 assists and five rebounds, Leah Ritterband had five points, Alexa Terenzi and Steph Petras had four points and five rebounds each and Kate Bellucci had two points. The game against Sewanhaka was a crucial win against a major team in the division. Manhasset beat opponent JFK Bellmore at home with a 50 to 36 win and continued their streak to upend Carey 46 to 36. 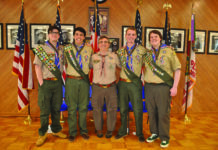 Their last regular season game was at home against Jericho High School, which recognizing graduating senior players, was victorious with a nail-biting close score of 47 to 44 to eek out the win. 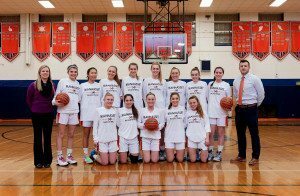 Manhasset took their six-game winning streak at the end of their regular season play into the playoffs against Southside and defeated them 54 to 51 to advance to the next round. Merola hit a three-pointer with 1:30 left in the game to put Manhasset up by five. Barry hit three out of four free throws late to seal the win. Merola and Barry had 14 points each, Murphy had seven points and 10 rebounds, Terenzi had seven points, Ritterband had five points, Bellucci had four points and Petras had three. Manhasset faces Garden City in the quarterfinals on Wednesday, Feb. 17, at 6:30 p.m. Winners advance to the semifinals on Sunday, Feb. 21.